A Senior Research Scientist at HP Labs, he conducts research on Network Measurement and Monitoring, Wireless Networks, Quality of Service and Data Center Networks. 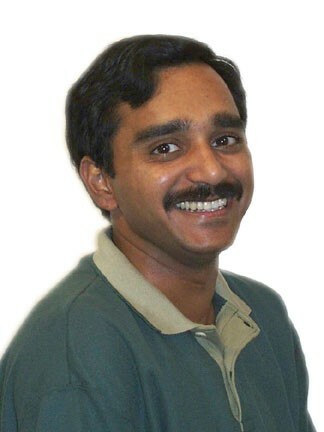 Prior to joining the HP Labs in 1998, he received his PhD in Computer Science from the University of Southern California in 1998. He also holds a B.Tech. in Computer Science and Engineering from Indian Institute of Technology (IIT) Delhi, 1993. His work on Mobile Collaborative Communities was featured in the New Scientist Magazine. Currently his research focuses on building programmable networks, energy efficient networks and QoS mechanisms for fabric convergence. He has also participated in various standardization efforts. Recently he contributed to the UPnP's QoS Working Group efforts as co-author for QoSv3 standards. Earlier, he had co-authored the IETF standards' RFCs on the multicast routing protocol PIM. He was the Co-Chair of 13th IEEE LANMAN Workshop in April 2004 and in 2011 he was Co-Chair for the Track on Energy Efficient Networking at the 20th International Conference on Computer Communications and Networks (ICCCN 2011). Also, in 2011, he was a recipient of the Distinguished Scientists award by the Association for Computing Machinery (ACM). The Distinguished Member Grade ACM Award recognizes those ACM members with at least 15 years of professional experience and 5 years of continuous Professional Membership who have achieved significant accomplishments or have made a significant impact on the computing field. He is a Senior member of ACM and IEEE.